The symbol of the covenant (partnership) with G-d is the B’rit Milah, or bris. 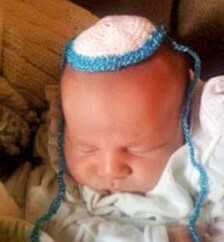 Generally on the 8th day of life, a Jewish boy is circumcised. If services are needed for a B’rit Milah, contact the Temple.